Contact us directly by phone or email. Alternatively you can book online, we’ll respond today. At Rejuvenate Advanced Skin Clinic we are experts in finding the solution for your skin problem, See our gallery of results. We provide a range of tailored treatments to suit your skin needs – Skin solutions for male and female, See our price list. We supply the latest skin care products from Murad and Environ. Find a skin product to suit your skin type. The superior choice for the permanent reduction of unwanted hair, offering effective results in a safe and gentle process. 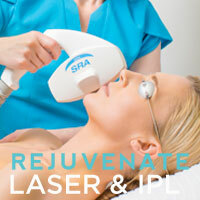 IPL (Intense Pulsed Light) is a non invasive, light based treatment suitable for face and body, treats pigment and vascular disorders. 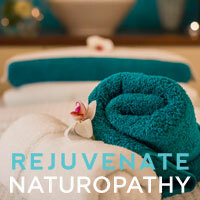 Concerned with the natural aging process? Our Murad Glycolic Peels are designed to resurface and restore resilience to the skin. 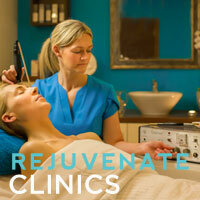 See how our skincare treatments can improve your skin!